Use the Money Advice Service free budgeting tool to work out what you have coming in and what you pay out every month. Check to see if you are exempt from paying Council Tax – if you’re a full-time student living alone or with other students you don’t need to pay council tax. Check that your are using your electric heaters/boiler correctly with this guide from Dundee City Council. The University of Dundee IT team offer free software to students – this includes Microsoft Excel and Word. Don’t go food shopping on an empty stomach – make a list and stick to it. If you live with friends try cooking a meal for the whole flat and share the cost, this will be cheaper and you can take turns cooking each night. If you want to find even more money saving tips, try Which’s Student Finance. When living with friends share the cost of living by set up a kitty for essentials such as tea, milk, coffee, toilet roll etc. Supermarkets often reduce items at the end of the day – check to see if you can freeze items and stock up. Shop around for a good mobile phone deal. Look for the best 0% overdraft but remember to never go over your limit – you will be charged! Save money on nights out by coming to The Union. We have the best value student bar in the UK. Keep your money and valuables safe in your own home. Get a TV license refund for the summer months or don’t get one at all – if you don’t watch live TV ie. only watch on demand, you don’t need a license. Ask satellite/cable companies for information on student broad-band/TV packages. Find out how to get a refund. Don’t overpay tax on your part time job – you can earn up to £10,600 tax free (2015/16). Find out how to get a tax refund. Got a question about financial matters? UoD provide information, guidance and advice to both current and prospective students on money issues. Payday loans are short-term loans for small amounts of money. They are readily available from high street shops and internet sites, as well as some ‘door-step’ companies; however, payday loans have very high interest rates. Students can very easily get stuck in a vicious circle of borrowing and mounting debt. DUSA advises students to avoid taking a pay day loan at all costs. If you are having money difficulties please contact the Student Funding Unit for help. If you do use these companies, please be informed as possible. Your local Citizens’ Advice Bureau can provide free, impartial and confidential information on financial products. If you think that you have a problem with gambling, contact DUSA for advice and signposting to agencies who can help. Credit cards give you the flexibility to pay for purchases and spread the cost, as well as help to build your credit rating for future credit, but be warned – if you fall into a spiral of credit card debt with interest making it worse every month, it can be very difficult to pay off and will have a very negative affect on your future borrowing prospects. Credit cards can be your friend and help you in later life, but they can also be your worst enemy, so be careful and manage them wisely. If you are struggling with debt or credit you can contact the University Student Funding department. As well as this, the Citizens Advice Bureau are available on campus. Try to pay your balance off in full every month, or at least keep it to the absolute minimum. Don’t miss a payment! You can be financially penalised and it can affect your credit score. If you can’t pay off your balance in full, pay more than the minimum payment to avoid increasing the interest you are paying. Avoid applying for credit/finance you have no chance of being accepted for – this will have a negative impact on your credit rating and will affect your future borrowing prospects. It is important to be aware of your current credit rating as this is hugely important when you apply for future credit in loans and mortgages. You can keep up to date with your credit rating from various free websites – we recommend Clear Score or Noddle. There are also many paid credit monitoring websites that offer extra services, many of which will also offer free trials such as Experian or Equifax. Most students need a part time job to fund their time at University. Part time work not only provides an income but, in this tough graduate market, work experience can put you ahead of your peers. Visit UoD Job Shop for advice and support in finding employment. 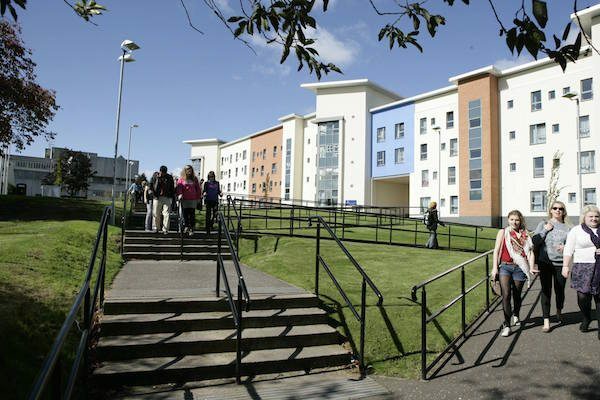 DUSA is one of the biggest student employers in Dundee and offer a variety of roles. Want to work for DUSA?